12. Ayesha (Elizabeth Debicki)The high priestess of the Sovereign plays the role of a minor villain for a bit, but she doesn't really get to dive into the role for most of the movie. Hopefully Ayesha will have a chance for more fully fleshed out villainy when her post-credits scene bears fruit. 11. 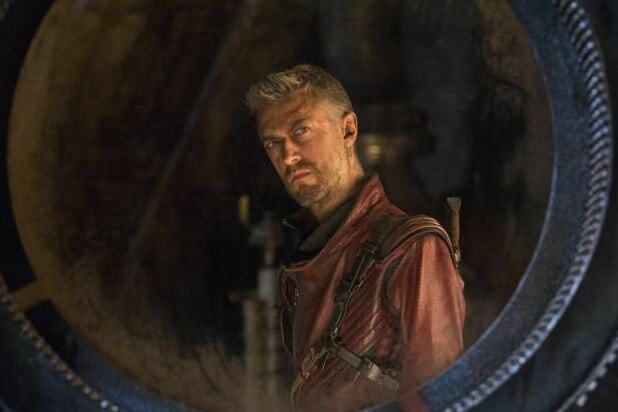 Kraglin (Sean Gunn)It's hard not to love poor Kraglin, even if he does accidentally do some betrayal. Loyal to Yondu to a fault, he's the heart for the Ravagers, and his post-credits scene adds hope that he'll continue to hang around with the Guardians in the future, hilariously messing stuff up. 10. Drax (Dave Bautista)Now that he's been able to deal with some of the pain of his family's murder, Drax gets to have a little fun as he leaps, laughing hysterically, into battle. His pairing with Mantis yields some great jokes, but ultimately it feels like he doesn't have enough to do in this story. 9. Taserface (Chris Sullivan)None of the Ravagers are particularly smart or capable, but Taserface is at least committed. He named himself, apparently, after the idea of getting shot, and then electrically shocked, by a brand-name stun gun. That's some commitment, and Taserface's bumbling villainy makes everything to do with the Ravagers that much more fun. 8. Rocket Raccoon (Bradley Cooper)Rocket has to work through some stuff this time around. While pairing him up with Yondu for the pair of them to deal with their baggage works well, we could do with more Rocket wise-cracking and tomfoolery. 7. Yondu (Michael Rooker)With both a major emotional arc and a few great moments of extreme violence, "Guardians of the Galaxy Vol. 2" really becomes Yondu's movie toward the end. 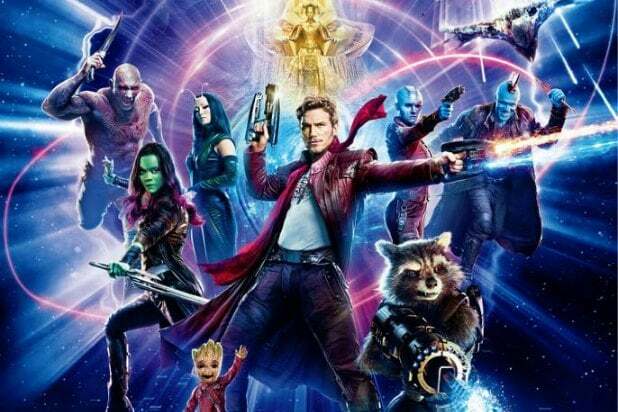 Between that and his Mary Poppins line, Yondu comes into his own in "Guardians 2." 6. Gamora (Zoe Saldana)It feels like, for at least half the movie, Gamora's the only person with her head on straight. Pitting her against Nebula with more backstory applied to their relationship is pretty interesting, even though it's handled at high speed. Plus, she picks up and fires a huge gun that falls off a spaceship, so major points for being a badass. 5. Mantis (Pom Klementieff)It's crazy how many funny lines Mantis gets, especially as she's interacting with Drax. It feels like "Guardians" is still figuring out how best to use Mantis as part of the team, but at least so far she's a fun, funny addition. 4. Peter 'Star Lord' Quill (Chris Pratt)It's nice that Quill finally starts to figure out his family history in "Vol. 2." The personal level of his story draws a lot out of his character we didn't see the first time around. And he's pretty on-point with his '80s pop culture references. All in all, Quill is a lot of fun and provides a lot of emotional grounding for the movie. 3. 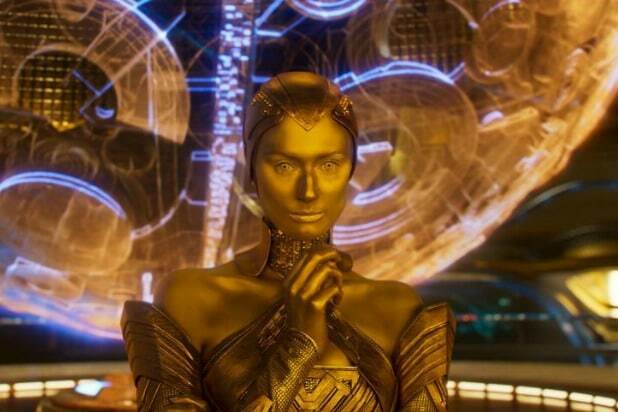 Nebula (Karen Gillan)In the first "Guardians," Nebula was a cool character who was underfeatured. That problem is largely fixed in "Guardians of the Galaxy Vol. 2," and her smoldering rage makes her seem extremely dangerous at all times. She's great as something more than a henchman, even if her character arc feels like it's on fast-forward. 2. Ego the Living Planet (Kurt Russell)Kurt Russell pours on the '80s charm as Ego and never lets up. You can't blame Quill for considering spending the rest of his life doing whatever Ego says. Who wouldn't want to hang out and play catch with Snake Plissken on a magic planet? 1. Baby Groot (Vin Diesel)Too adorable to kill, Baby Groot is a scene-stealer who walks off with the movie in two key moments. Director James Gunn knows that watching Groot wander around a battlefield is cooler than the actual battle. That's how great he is.